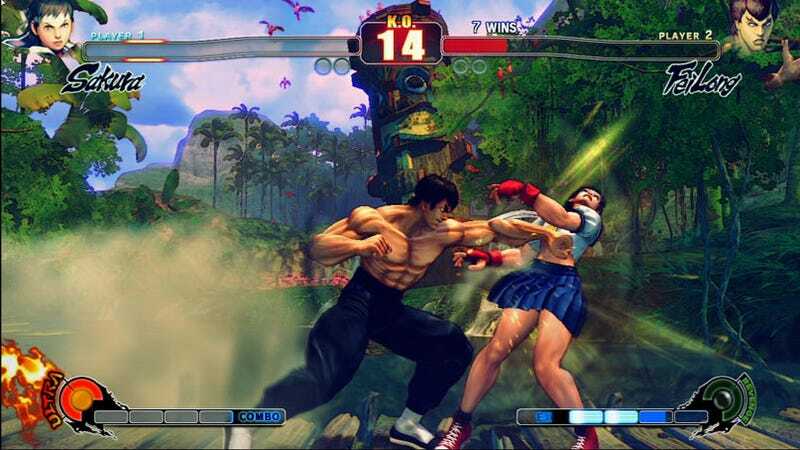 Here are some new, direct-feed screens of Street Fighter IV. No airbrushed edges here, these are all-gameplay. And all-woman-punching. Seriously, Fei Long, pick on someone your own size.